The fall farm festival that is currently in the pumpkin farm Long Island has long been a tradition of many families in New York. 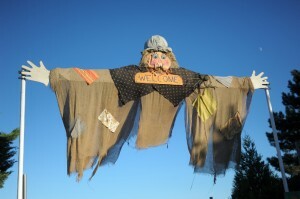 This festival is religiously celebrated in the White Post Farms at Melville in Huntington in New York. It is regarded as the longest fall festival. This festival lasts for six weeks. The festival guarantees great fun and a variety of things to do like shows, parks, animal farm, bouncers and so much more. The place is known as one of the best places for pumpkin picking we assure you that you will definitely find a pumpkin, which is just perfect for you. Your trip to the festival will be inclusive of pumpkin picking to your heart’s content, magic shows, talent shows, comedy shows, bouncing and sliding on the large inflated slides, animal shows, pony rides, festival food and lots of fun. One of the funniest men in all of New York who is known as buddy Flip on the farm will host your trip. So be prepared to laugh out to tears as”Yee-Hah” Guy buddy Flip takes you on the tour. 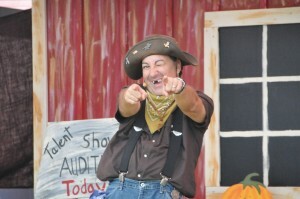 Touring with him you might also notice yourself yodelling away to everyone in the festival just like the children. You cannot miss the Ricky rodeo and his friends who are helping him find his talent involving all the visitors in the laughter ride. You might also want to catch up with the pork chop show, which will tickle your funny bones with pigs performing stunts and singing as well. However, there is no guarantee that they will be on your favourite singers list. The festival offers a lot more than just show, there are playing area for kids the famous balloon bursting game kaboom, bird farms and a lot more farm animals to play with. 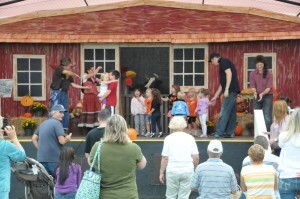 The fall festival in long island will surely provide an experience of a lifetime packed with fun and entertainment. What are you waiting for? Book yourself now to board the wagon of innocent enjoyment. Our Festival runs on the following dates.